BANTING: The Kuala Langat District Council (MDKL) has ordered for the closure of five food premises in the district. The two-week closure order was issued after the premises around Sijangkang and Teluk Panglima Garang were found to be dirty, during an operation by MDKL and the district health office this morning. 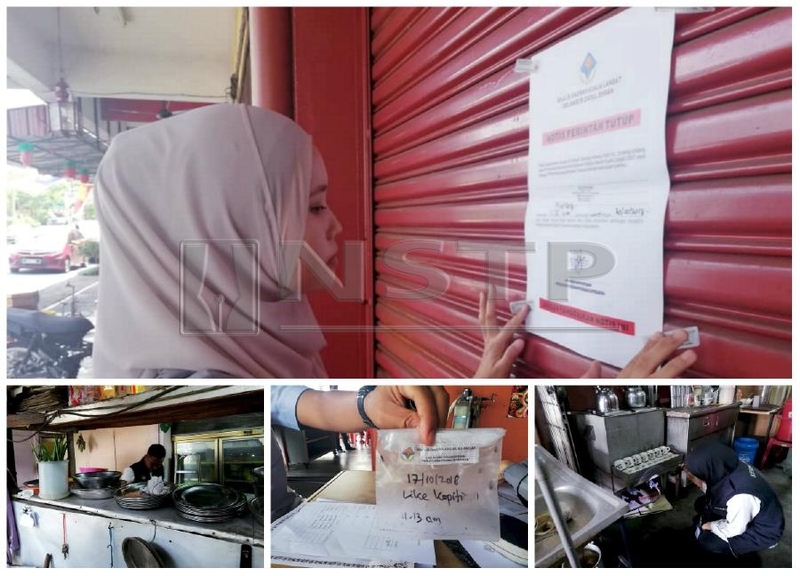 MDKL environmental health assistant officer Noor Hayati Ibrahim said all the premises were ordered to close temporarily under Regulation 62 of the Food Establishment Licensing By-Laws (MDKL) 2007. "In today's operation, the closure order was made after we found insects including cockroaches, failure to obtain typhoid injection and not following the set steps for cleanliness. "All these premises were given a 14-day period for clean-up works and improvements as instructed," she said. Also present during the operation was Kuala Langat district health chief assistant officer Mohamad Farhan Kadir. Noor Hayati meanwhile said MDKL was committed in ensuring cleanliness for the food services in the district. "Although various excuses were given such as the premise was in an old building, they had just reopened after a long vacation, not enough employees to do cleaning work... but we will not compromise on matters that involve food cleanliness," she said. "Today, when we conducted checks, we found several premises obtaining a score of less than 65 percent, we also found rats," Mohamad Farhan said. "We regret that premise owners and traders are taking this lightly by commiting offences such as not wearing aprons, head covers and shoes as well as wearing accessories while they are working, despite procedures having been set," he said.